Ebola; one of the most frightening words circling our world at the moment. We think about the fear and panic in West Africa and the grief of the families who have lost their loved ones and it stops us in our tracks – the loss is truly devastating and we, like everyone else around the globe, express our sincerest sympathies to those who have suffered. However, we sadly don’t live in a world where everything stops when there is an international tragedy. We continued with our lives when the 2004 Tsunami devastated Indonesia and we all kept going when the Fukushima Daiichi nuclear disaster struck Japan in 2011. So when, on an online platform, we were asked how can we continue to promote our product in a “country ravaged by Ebola?” our immediate thought was that there are many things South Africa is ravaged by, at the top of the slope is corruption, but nowhere on that list is Ebola. Another post on Facebook: “I will never travel to South Africa because I’ll probably catch Ebola and die”. Now hang on a second, we understand if travellers are hesitant to travel, we would be too, but we feel that opinions should be expressed and decisions made on information that is actually accurate. And before we get into the facts, it’s worth mentioning that Europe is closer to West Africa than both Kenya and Cape Town and that the confirmed Ebola cases in Dallas, USA, have not stopped Americans from travelling through the States for business or pleasure. 1. Ebola is a virus transmitted primarily via bodily fluids. It is not airborne. As such, it is still safe to make use of our airlines. 2. The incidents of infection and death are reported and prevalent in West African countries, most notably Liberia, Sierra Leone, Guinea and the DRC. South Africa does not share borders with any of the countries in that region, nor do our neighbouring countries. 3. The geo-location of the countries affected makes it very difficult for a person with the virus to enter the country via the land borders. Owing to the quick infection to fatality rate of this virus, people with the disease often succumb to the virus within a few days of infection. 4. The South African National Department of Health have stated unequivocally that there are no cases of Ebola in South Africa. Having said that, we remain on high alert for any potential threat or infection. 5. To safeguard against the deadly virus, a decision has been made by the South African National Department of Health that should a foreign national test positive, they will be denied entry into South Africa. It should also be noted that as of Tuesday, 21 October 2014, the WHO officially declared Nigeria free of Ebola after six weeks with no new cases. The same declaration was made for Senegal on Friday, 17 October. Click here to read the BBC article. Africa, although not the size of America or Asia, is a large continent with distances of thousands of miles between the effected countries and major South African cities such as Johannesburg and Cape Town. To give you an idea, the distance from Monrovia (Liberia’s capital) to Johannesburg is 10 081kms which equates to 6 265 miles. 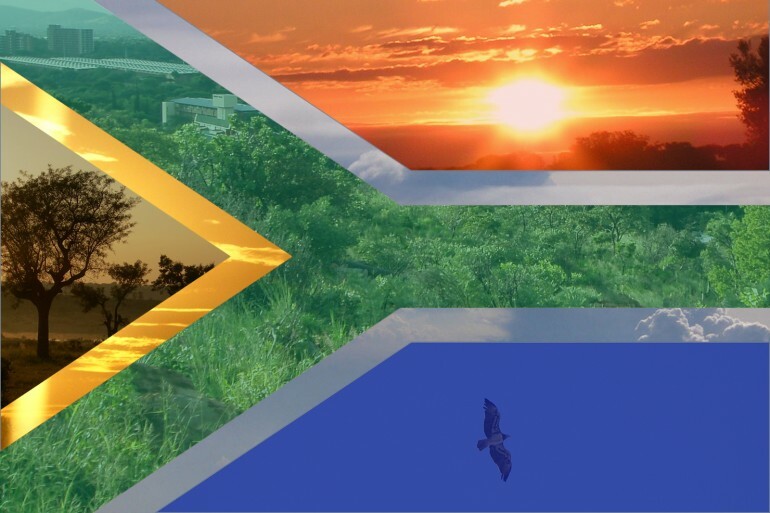 Although we recognise that consumer confidence in travelling to Southern and East Africa has been shaken as a result of the outbreak of Ebola in West Africa, we feel it’s imperative to reiterate that South Africa has not had one reported case. We are not telling you to immediately pack your bags and book a flight here but we are asking that you decide on your travel plans based on factual, un-sensationalised information. We trust that this has been helpful and hope to welcome you to our beautiful country. Being Breast Cancer Awareness Month we decided to write about something that means a great deal to us and we’re sure to many of you. Cancer, in all its forms, seems to be slithering into homes everywhere and is not a disease that happens to “other people”. Many of us here at Rovos Rail have been affected by cancer so our association with Pink Drive is meaningful to many of us. Carole, from our sales team, has worked with Founder & Director of Pink Drive, Noelene Kotschan for many years and last year both Carole and Brenda attended the Pink Tie dinner where Rovos Rail donated a trip on the train to the auction. The event was a great success and never have we seen so many beautiful women in one place wearing so much pink! Now that’s impressive! How do they achieve the above? In amongst all their fundraising and awareness initiatives, they operate two “Pink” mobile breast check units as well as three educational cars and in March this year they launched South Africa´s first Mobile Women’s Health Unit in the form of a fourteen ton truck! Described as a Doctor’s Room on Wheels, the unit boasts a state-of-the-art gynaecology area for pap smears and examinations, a reception area for administration and a radiology area. This unit addresses cervical cancer as well as offering mammograms. It’s hard to believe what Noelene and her team have achieved in just five years! A huge congrats to all of you – the work you is tireless and invaluable. You all save lives so in our books you are all superheroes! Click here to find out how you might be able to support Pink Drive.